Free Live Chat For Your Website | Brand On! There are plenty of “live chat” solutions you can add to your websites. However, I came across Firehose Chat recently and fell in love with it. It features a familiar looking on-site chat paired with an SMS-like app that makes it super convenient to respond to visitors on your site from anywhere. When someone is on your site and “chats” you a question, you’ll get it as a push notification. You can set “do not disturb” hours, and with the paid version add multiple team members and save chat histories. 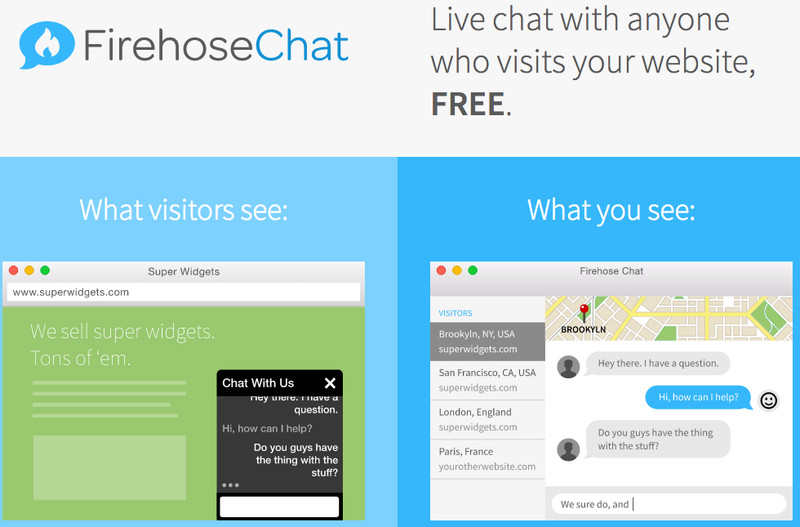 Currently, Firehose Chat offers a native Mac app, an iPhone app and an Android app in beta.